If you've been on pins and needles for another fix of Nexus hype, @evleaks has provided something you may like. In a post to Twitter this evening, @evleaks shared a new press render of the Nexus 5 - one that matches the Telus Nexus 5 leak we covered last week. 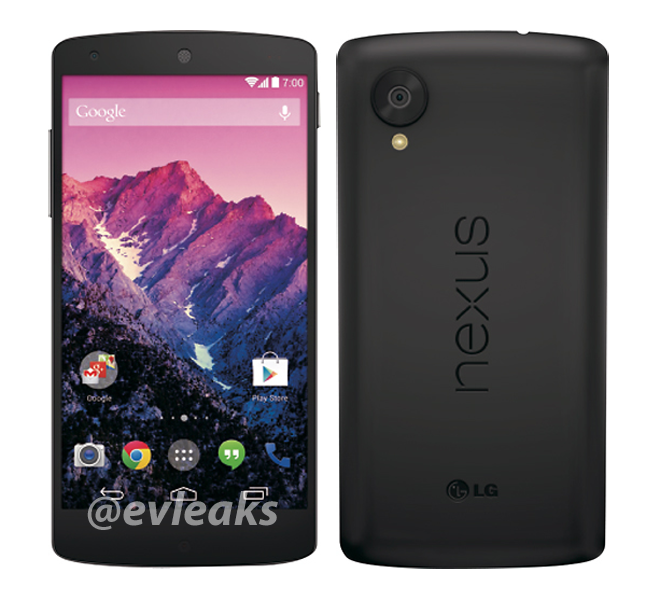 As usual, @evleaks' post is sparse on information, reading only "Nexus 5, by LG, 2013." And this isn't exactly something we haven't seen before - at this point, we've pretty much seen the Nexus 5 from all angles. Still, one more look can't hurt. We have no reason suspect that this render isn't official. It may still be a work in progress, however - the sides of the back shot are a little rough, and the camera is notably unrefined. 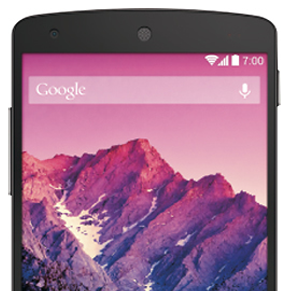 It's got the same wallpaper as the Telus leak, and has the same iconography we've seen in other leaks. For those wondering, the photo wallpaper is one shot by Romain Guy, former member of the Android team. You can find the photo here. While we still have absolutely no idea when Google will be announcing the new handset (and/or KitKat), we'll keep you updated as new information emerges.